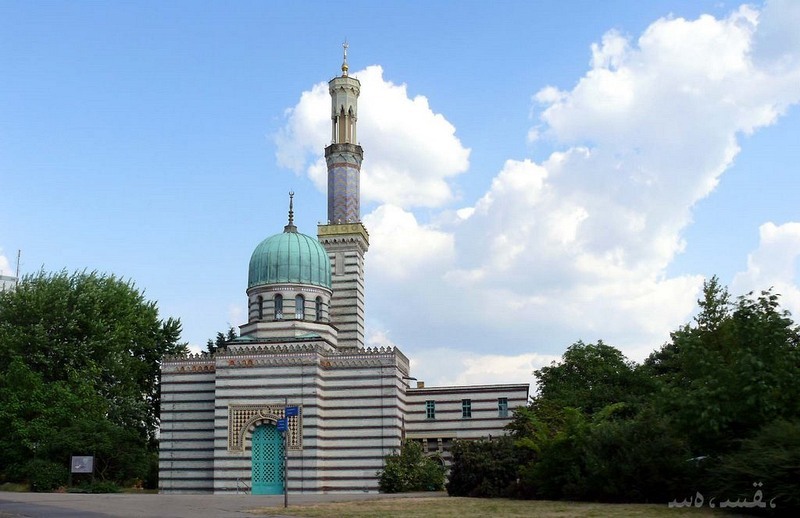 The Dampfmaschinenhaus at the Neustädter Havelbucht in Potsdam, Germany, looks like a Turkish mosque but is actually a pumping station in disguise. Its purpose was to accommodate an 81.4 horse power steam engine – a 19th century masterpiece of mechanical engineering – that was used to pump water from the River Havel to the Great Fountains in the Sanssouci Park. The fountains in Sanssouci Park were originally designed by Prussian King Frederick the Great in the 1750s. Frederick invested heavily in the fountain system of Sanssouci Park, as water features were a firm component of baroque gardens. The plan was to use pumps driven by wind power to pump water from the Havel River to a water basin located high up the mountain Ruinenberg. From there, the water was expected to flow on its own, on account of the height of the water basin, through a system of pipes, until it erupted in a fountain in the park. Although Frederick spent a lot of money into the fountain, the plan never took off because of lack of expertise and technical knowledge of the builders. After endless efforts and enormous material consumption, the project was finally abandoned in 1780.